On August 15th 2015 a 60 year old, avid hiker and backcountry skier activated his ACR PLB-375 ResQLink at noon. He had been hiking near Shoshoni Peak in the Colorado Mountains North West of Denver and ran into trouble. He had injured his head and sustained other injuries while chasing his dog! While his injuries were somewhat minor, he was located at over 11,000 feet in the mountains and unable to traverse the many miles that it would have taken him to get to civilization. The ACR PLB-375 has an internal GPS receiver which sent his location along with the distress signal to the Air Force Rescue Coordination Center. The AFRCC contacted local authorities who unsuccessfully attempted to rescue the hiker using a Life Flight helicopter. A military Black Hawk helicopter was dispatched and the hiker was extracted to safety at 4:30 pm. In order to help rescuers determine exactly what is going on and perhaps narrow down your planned activities, it is extremely important that you properly register your PLB! A Boy Scout Group of 18 kids and adults was on a 50 mile hike near Upper Cathedral Lake in Okanogan County, Washington, when one of the adults began having heart trouble. 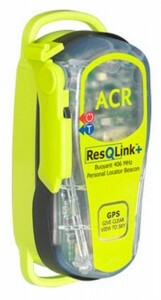 An ACR PLB-375 ResQLink with an internal GPS receiver was activated 10:15 am. When activated the ACR PLB-375 sends its GPS location along with the distress message. After receiving the alert through the SARSAT System the Air Force Rescue Coordination Center coordinated with local authorities about available search assets. The local Sheriff coordinated with a Federal aviation unit to search for the PLB and party using a Black Hawk Helicopter. The Black Hawk landed near the group at 2:05 pm, loaded the individual and his child and evacuated the man to a medical facility. Often in situations like this during its rescue process the AFRCC consults the PLB Beacon Registration Information that is sent to them with the distress message and beacon location. They will attempt to contact the owner or designated contacts to try to determine if the distress signal is real and if there is any available information on what beacon owner is doing as well as any known medical issues. This can greatly increase the rescue forces response time! Personal Locator Beacons or PLBs are a great lifesaving device which can bring rescuers right to your location in the event of an emergency. Just like Emergency Locator Transmitters (ELTs) on aircraft and Emergency Position Indicting Radio Beacons (EPIRBs) on boats, once activated PLBs transmit a digital signal to the SARSAT System. This signal contains information which positively identifies the individual beacon which has been set off (sort of like a serial number). The signal might also contain your GPS location, if your PLB has a GPS function (this is the best kind of PLB to buy!). If your PLB doesn’t have GPS then the Satellite system will have to try to determine as accurately as possible by itself. In an emergency NOAA is your friend! In the United States the National Oceanic and Atmospheric Administration (NOAA) is the agency which monitors and receives signals from the SARSAT satellite system when distress beacons like Personal Locator Beacons are set off. When NOAA receives a signal that a PLB has been set off the message sent by the PLB contains the information that l mentioned above. Which if it doesn’t contain GPS data is not a lot to initially go on, it could take the satellite system an hour or more to determine exactly where your PLB is located if it has no internal GPS data. In an emergency situation minutes can save lives, so it’s important for rescuers to determine as soon as possible exactly what is going on. In order to accomplish this NOAA maintains a registration database of all of the emergency beacons (PLBs, ELTs, and EPIRBS) in the United States. Beacon owners can send in both their contact information and info on their emergency contacts via several different means. While registering your 406MHz distress beacon is the smart thing to do, you are actually required to do so. You could in fact receive a penalty or fine if you don’t register it and then use it! When you set off your Personal Locator Beacon (in a distress situation) the signal I mentioned is sent to the satellite system which then sends it to NOAA ground stations (in the US). Once received the PLB’s message is then automatically paired with its registration data from the database and forwarded to the US Air Force Rescue Coordination Center (AFRCC). The AFRCC then immediately begins to try to determine if someone is actually in distress or if the alert is a false alarm (the majority are). They do this by attempting to call the beacon owner with the information on the registration. They’ll try your home, cell, work numbers (whatever you’ve given) to attempt to contact you. If they can’t reach you they’ll move on to the alternate contacts to see if they know what you are up to. These contacts should be people who will know what you are doing and where you’ll be i.e. you are out hiking and in what area. You should list family and/or friends that can be easily contacted (e.g., carry a cell phone, or are usually available at work or at home) and would have knowledge about where you camp, hunt, fly, etc. Finding out this way that you actually or might be in an emergency situation is the fastest way to get help heading your way when needed! The beauty of the NOAA Online Beacon Database is that you can log back in at any time to update your information based on what you are doing. You should also update your entries when you or your contacts change addresses or phone numbers or you want to change who will be an additional contact for you. I’ll be hiking south on the Appellation Trail starting on May 1st at Mount Katahdin Maine. I plan to travel 15 miles per day and hope to finish by the end of September in Georgia. I’m camping in Glacier National Park Montana from 5 through 12 August. I use my PLB while hunting on and around Beartown Mountain State Park in Berkshire County Massachusetts during the fall. In the summer I take it whitewater rafting on the Arkansas River in Colorado. This PLB is used as an emergency backup to my aircraft ELT on tail number N12345C, my home airport is Dayton Wright Brothers Airport (KMGY). These are just a few examples, you can enter anything that you think would help those trying to assist you. This info is just to get help heading in the right direction in the initial uncertainty period, especially if the satellite system hasn’t reported your location yet. Stating what you are doing on your registration lends credence to the thought that this is actually a real emergency versus a false alarm, which most beacon activations are. Every Personal Locator Beacon which is sold comes with NOAA registration paperwork, which can be completed then faxed or mailed in. Or PLB owners can go online and register their distress beacon immediately. Faxed and mailed registrations can take up to two business days to process once received by NOAA, online registrations take effect immediately. PLB owners who mail or fax in their registrations can go to the same web address afterwards to set up online access to their registration data. The registration information, and the corresponding proof-of-registration decal, is valid for two years. The FCC requires that you renew your registration every two years. However, you are encouraged to provide updates to your registration anytime it’s required. It is very important to check your Personal Locator Beacon properly. Especially before you head out into a potentially risky situation. Personal Locator Beacons should never be activated unless you are in grave and eminent danger. So do not push the ON or Emergency Button. Only use the test button. The reason that you should never activate your PLB, no matter how briefly, is that the emergency signal will be picked up by the Search and Rescue Satellite System. Rescue forces will then attempt to contact you and if they can’t they will come looking for you. This happens on a daily basis in the United States taking up the time of rescue workers who try to determine if each and every distress signal that comes in id real or not. Don’t contribute to this problem! 406 MHz emergency beacons should only be tested using the “self-test” feature of the beacon or the beacon should be taken to an authorized dealer or test facility. Check the documentation that came with your distress beacon on how to test your specific model correctly. If you do accidentally activate your beacon you should call the U. S. Air Force Rescue Coordination Center at (800) 851-3051 to advise them that you have set off your PLB accidentally. They will want to know your PLB’s 15 digit Hexidecimal ID (some manufacturers call this the UIN). 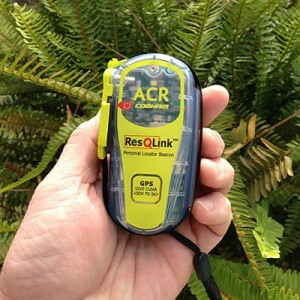 A Personal Locator Beacon is a great Safety Device, and should be treated responsibly. Also be sure to register your Personal Locator Beacon! This site recommends that you buy a PLB with GPS capability! Don’t try to save a few bucks, you life is worth much more! Personal Locator Beacons, commonly called PLBs are small handheld devices which, when activated will send an emergency message to Search and Rescue Forces if you get into an actual emergency situation. PLBs are a fairly new addition the safety tool box which everyone who spends time outdoors, especially those who do risky activities away from civilization, should carry. A Personal Locator Beacon when activated sends out an emergency signal which can be picked up by a worldwide satellite system, which then forwards the message to ground receivers and the appropriate Rescue Control Center (RCCS). These RCCs will then dispatch Search and Rescue (SAR) Teams to assist you. PLBs should only be activated in an actual emergency situation as rescue workers will come looking for you. The purpose of this article is to outline, in simple terms, just how it is that when you push the button on your PLB, that a Search and Rescue (SAR) Team will come looking for you at your location. With the push of a button, you are able to send a call for help to SAR Teams. What an amazing and potentially lifesaving ability. But how does this happen? PLBs as well as their aviation (ELT) and Marine (EPIRB) counterparts, when activated send digital a signal on 406 Mega Hertz (MHz) to the SARSAT Search and Rescuer Satellite system. This 406MHZ encoded data burst can send various bits of information (depending on the type of beacon you have) which the SARSAT system picks up and decodes. The best models have all of these functions! There are other options offered on some brands which while cool, do not affect the actual operation of the beacon in normal conditions. Options like – waterproofing, an internal strobe light, belt clips, etc. When you activate your PLB it sends out its signal on 406MHz (that is a frequency, like the different radio station frequencies on your car radio). There is an international system of satellites orbiting the earth listening for these signals. The Search and Rescue Satellite System, or SARSAT System is a collection of receivers on various types of satellites. These satellites have many other devices onboard and perform many functions, but the only one we are concerned with is the SARSAT package. I’m going to have to get a bit technical here on the different types of satellites, so bear with me this is important to how quickly someone will be able to assist you in an emergency. The speed of your rescue depends on both the type of PLB you’ve purchased and the type of satellite which picks up your signal. If you want to skip most of this section, make sure you read the KEY POINTS! At the time I’m writing this there are 2 types of SAR Satellites, Low Earth Orbit and High Earth Orbit. A third, Mid Earth Orbit is in the works. LEO Satellites are in “polar orbits”, meaning they fly at a right angle to the earth’s equator, so on one orbit they fly northwards and then over the north pole and continue on southwards until they fly over the south pole and continue on northwards again. As the LEO Satellite is orbiting south to north – north to south, the earth is spinning below the satellite. So the satellite flies over a different ground path on every orbit. There are currently 6 LEO Satellites in the SARSAT System. Because of their altitude LEO Satellites “view” a small area as the sweep over the earth. LEO Satellites receive distress signals and transmit them to the ground stations if they are in view. They then store the message and transmit it to other ground stations as they pass over. KEY POINT – Because LEO satellites move in relation to the earth below they can use Doppler Shift computations to determine the point on the earth from which a distress signal it is receiving is coming from. Simply, they have a way to determine where your PLB’s emergency signal is coming from. High Earth Orbit satellites are placed in what is called Geostationary Orbits (called GEO for geostationary). GEO Satellites sit at a height at which the speed they orbit keeps them always stationary over the same geographic point – Geo Stationary. GEO Satellites orbit over and parallel to the equator. There are currently 8 GEO Satellites in the SARSAT System, a 9th will come online soon. Only 4 are kept fully operational an one time. Because of their altitude GEO Satellites “view” a very large area of the earth that that they are parked over which is always in view. This is why only 4 are needed. GEO Satellites receive distress signals and immediately transmit them to the ground stations in view. There is a GEO Satellite parked where it can view the entire United States. KEY POINT – Because GEO satellites DO NOT move in relation to the earth below they CAN NOT use Doppler Shift computations to determine the point on the earth from which a distress signal it is receiving is coming from. Simply, they DO NOT have any way to determine where your PLB’s emergency signal is coming from. As I mentioned before, the type of Personal Locator Beacon you buy could affect the speed at which rescue forces begin to head out to help you. Remember there are different kinds of Personal Locator Beacons based on what features they have. The two that matter for this topic are PLBs without GPS capability and PLBs with GPS. And there are two kinds of SAR Satellites, LEO and GEO. First, let’s discuss a PLB without GPS capability. If you become injured or stranded in an emergency situation and activate your distress beacon without GPS the GEO satellite which covers your area will pick up the signal. But all a PLB without GPS sends is its identifier. The GEO satellite has no way to determine where the PLB is located. So all rescue forces will know is that that beacon was activated but not where it is. Hopefully you’ve registered your PLB and some contact information is also sent with the distress message to help determine where you might be. Without knowing your location there is nothing Search and Rescue forces can do! They have to wait for the next part of the system, the LEO Satellites, to come into play. LEO satellites can determine your beacon’s location, but because of orbital mechanics it could be up to an hour and a half before one flies into a position where it can hear your PLB. Any response to your call for help could be delayed that long! Also determining your location in this manner is not very accurate and it could take several passes from different satellites to get a valid usable location. Now, let’s discuss a PLB with GPS capability. In the same scenario, once you activate your distress beacon with GPS the GEO satellite which covers your area will pick up the signal. But this time your PLB sends not only its identification, it also sends your GPS location. Rescue workers can then easily make a quick determine if you potentially are in distress. For instance, if you are located in a wilderness area, then you most likely are having an actual problem. But if you are located in a parking lot outside an Outdoor Man Store then you most likely turned your PLB on to “test it” without having read the directions. A LEO satellite picking up your signal will also receive your GPS location. So as you see having a Personal Locator Beacon with GPS capability can greatly improve your chances of being rescued in a timely manner. And let’s face facts, when you are hitting your emergency button on the PLB, asking for someone to help you, time most likely is of the essence.